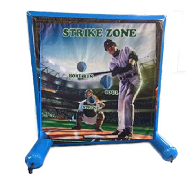 Rent a Baseball Strike Zone Game! Always a Popular, Easy & Affordable Choice! Great choice for something FUN that kids and adults can play ! Test your throwing skills & have FUN doing it. 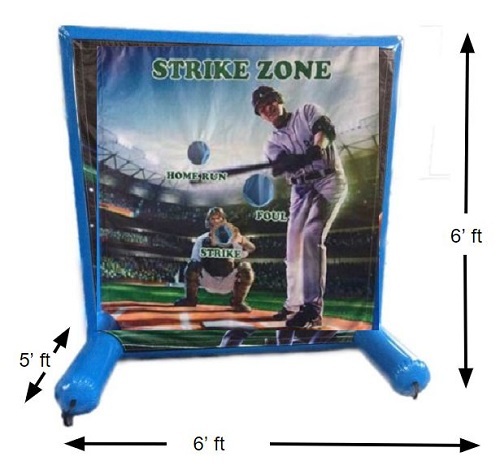 Just toss the nerf style baseballs into the target & your the WINNER! Great game for folks to stand around and cheer the other players as well! Small or large spaces. Just need 10' x 10' space. Sets up in minutes! Perfect for sporting themed events, birthdays, community events, school carnivals, church events and more. Other Notes - The Freedom team can deliver, set everything up & pick up the next day. Full concierge attendants available on request. Warehouse pickup eligible. Book online or call (512) 981-5557 to reserve your FUN! Easy & hassle free - we can deliver, setup & pickup the next day! Free rescheduling - We understand that life happens & you can change or even reschedule your event due to unforeseen issues like weather, etc. 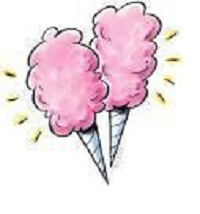 Concessions like snow cone machines, popcorn and cotton candy!